Our commitment to your health. Beyond Carpet Cleaning cares about you, your loved ones and your pets. We’re concerned about the safety of the products we bring into your home. Daily, our technicians are exposed to higher concentrations of these products then our clients will ever be so it is in our own interest to seek out and find the safest, most effective green cleaning products available. Products that are not only earth friendly but made from organic plants and naturally occurring minerals. Products that surpass the industry’s current accepted green credentials free including but not limited to phosphates, dyes and perfumes. It is no easy task to find products and vendors who could fill this bill. Products that were safe are often ineffective cleaners. Products so strong and effective made you cough when you opened the bottle were the first to go. That’s enough of that. Raus mit dem. Out with that! 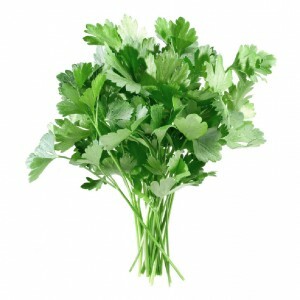 Parsley is one of the most commonly used herbs all over the world. Since ancient times Hippocrates used it as a cure for many maladies. Pliny, in the first century AD even went so far as to suggest sauces or salads were incomplete with parsley. The Greeks, considered parsley sacred having reputedly sprung from the blood of their hero Archemorus. The Ancient Greeks Olympians were crowned with fragrant wreaths of parsley. Parsley is easy to grow dresses up a burger and fries like no other. Next time don’t just push it aside, chomp down on it, it’s loaded with all kind of things that will make you young again. Oh, one more thing, ancient Romans considered parsley a cure for hangovers. I have a better cure. Drink in moderation. Parsley essence is a natural deodorizer and when combined with coconut based surfactants, makes a dynamite cleaning agent. It smells so fresh, inviting and naturally invigoration you may want to take sip. SORRY ABSOLUTELY NO TASTING THE PARSLEY COCONUT CLEANER! 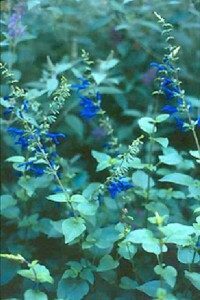 Sage, botanically-known as Salvia officinalis, is native to the Mediterranean Sea area. Ancient Romans thought it had incredible healing properties, and aided in the digestion of the fatty meats that were everywhere at the time. A long time ago, before I was born anyway, the French produced tons of sage and used it for tea. The Chinese were so infatuated with it they traded four pounds of their tea for one pound of sage tea. In 812 AD, sage was one of the plants so important that Charlemagne ordered it planted on German imperial farms. It traded well and was good for your health too boot. Sage has naturally occurring antimicrobial properties. It is antiseptic, is good for wound healing, is anti-inflammatory, lightens a tired mind and fights depression, grief and can ease dull aches and pains and if you’re having a rotten day yes, we will open a bottle of our sage and bergamot cleaner and you can smell it. (Still no sipping.) Cleans carpets like no other. What the heck is Bergamot? These look like limes to me. Very good, you get an A for being observant. 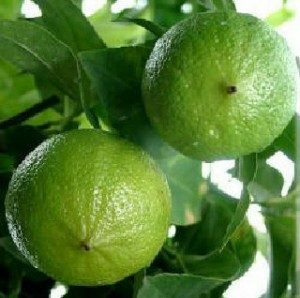 Bergamot is a close cousin of the noble lime and is in the citrus family. The scent of the bergamot oil is citrus like, fruity and sweet, with a warm floral quality. This tree is native to South East Asia, and was introduced to Europe, especially Italy and can also found in the Ivory Coast, Morocco, Tunisia and Algeria. The name is derived from the city Bergamo in Lombardy, Italy, where the oil was first sold. Some of the therapeutic properties of bergamot oil are that it is an analgesic, antidepressant, antiseptic and antibiotic. It has a calming effect and back in the day was recommended for people a little low on self-confidence or feeling shy. So, if you’ve been on Monster.com and Career Builders and are ready to go on that all-important life changing interview have us come over and clean your carpets first, breath deeply and go knock the cover off that ball! Bergamot combined with sage makes a wonderfully effective carpet cleaning agent. Oranges have been cultivated all over the world for thousands of years. The seeds were often carried to different regions by exploring or visiting individuals. They are native to southeastern Asia, Indo China and China. 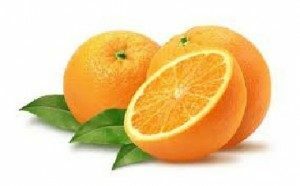 The sweet orange has grown in China for many centuries. In 1493, Columbus purchased the seeds of oranges in the Canary Islands. He eventually started a colony in Haiti where he planted orange orchards. The sweet orange was cultivated in the 16th century in Eastern Europe. In 1841, William Wilfskill planted the first orange tree in Los Angeles, CA. He shipped them around the country via railroad. He also sold oranges to gold rush miners. In England, they were a sign of wealth and were often used during the holiday season for decorations. An orange packs over 170 different phytonutrients and more than 60 flavonoids, many of which have been shown to have anti-inflammatory, anti-tumor and blood clot inhibiting properties, as well as strong anti-oxidant effects. The combination of the high amount of anti-oxidant (vitamin C) and flavonoids in oranges makes it one of the best fruits in helping to promote optimal health. Orange oil is a natural solvent that chemically reacts with oil to break it down. It is effective in removing sticky tags from items. It can be mixed with alcohol but not water. Depending on how it is mixed, it has uses that range from cleaning greasy car parts to removing oil based stains from clothing. We use our orange oil cleaner as a booster to our carpet cleaning. It has a pleasant light fragrance and dissipates quickly. When we come to clean you’re going to smell fresh sliced oranges and lemons. What could be more uplifting and pleasant. As an herb, lavender has been in documented use for over 2,500 years. In ancient times lavender was used for mummification and perfume by the Egyptians, Phoenicians, and people of the Middle East. Romans used lavender oils for bathing, cooking, and scenting the air, and they most likely gave it the Latin root from which we derive the modern name (either lavare–to wash, or livendula–livid or bluish). The flower’s soothing “tonic” qualities, the insect-repellent effects of the strong scent, and the use of the dried plant in smoking mixtures also added to the value of the herb in ancient times. 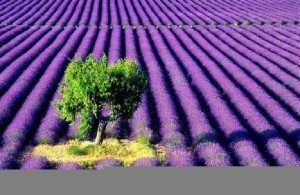 First domesticated by the Arabians, lavender spread across Europe from Greece. Around 600 BC, lavender may have come from the Greek Hyeres Islands into France and is now common in France, Spain, Italy and England. The ‘English’ lavender varieties were not locally developed in England but rather introduced in the 1600s, right around the time the first lavender plants were making their way to the Americas. In Medieval and Renaissance Europe, the washing women were known as “lavenders” and they used lavender to scent drawers and dried the laundry on lavender bushes. Also during this time, lavender was grown in so-called “infirmarian’s gardens” in monasteries, along with many other medicinal herbs. According to the German nun Hildegard of Bingen, (1098-1179), lavender “water,”–a decoction of vodka, gin, or brandy mixed with lavender–is great for migraine headaches. Now your squawkin! Today, lavender is most commonly used for anxiety, depression, mental exhaustion, insomnia, scrapes and wounds, digestive problems, headaches, skin problems and women’s health problems. In addition to this, lavender can be used to treat exhaustion, heat exposure, fevers, aches and pains, over-exertion, jet lag, rashes, sprains, sunburn, sunstroke, bruises and burns. It can also be used as a disinfectant and insect repellant. Lavender is an antiseptic, natural antibiotic, sedative, detoxifier. The essential oil of lavender has a calming, sedative, and anti-convulsive effect. It can also increase the effectiveness of other relaxants. According to the Smell and Taste Foundation in Chicago, the scent of lavender increases brain waves associated with relaxation. Commission E, the German counterpart of the FDA that regulates herbal remedies, also approves lavender for treating relaxation and restlessness. Lavender has also been endorsed by Germany’s Commission E to treat all sorts of stomach and digestive disorders. It soothes the lining of the digestive tract and promotes the secretion of bile, which helps the body digest fats. In addition to this, lavender can also relieve gas pressure and constipation. Massaging lavender oil onto the temples, neck and forehead can relieve neck and head tension and promote relaxation, thus relieving a variety of headaches. Those included are general headaches, gastric headaches, nervous headaches, sinus and tension headaches. By massaging lavender oil into the skin, it can be used to treat a number of skin problems such as acne, burns, dry skin, eczema, itchy skin, sunburn, seborrhea, and skin inflammation. Lavender oil coconut based surfactant and purified water make for a safe, calming and effective cleaning agents in our products. You may experience a sense of calm after we clean for you. You’ll need it when your pulse races from excitement when you see how clean your home is. A study conducted at the University of Leicester in England showed that the use of lavender essential oil is just as effective in promoting sound sleep as traditional medication. In fact, many British hospitals offer their patients lavender pillows to help with sleeplessness but please don’t sleep on your lightly scented lavender carpets. Have us clean the sofa and sleep on it. As you can see, lavender is a heavy hitter. We’re proud to have it on our line up. Lemon originated in China, Persia, Asia Minor, or the Indus Valley. The latter wins–archaeological evidence includes a lemon-shaped earring from 2500 BC. Lemons were being cultivated in Palestine and Greece as early as the first century A.D. By the second century, Libya was exporting them to Rome. (There is a mosaic in Pompeii that shows a lemon) However, the fruit was expensive and rarely encountered. In the eighth and ninth century, Arabs planted lemons in the Sahara, and Sicily. The fruit first became popular in the late Middle Ages, perhaps the result of those returning from the Crusades. Cookbooks advised replacing the excessive spiciness of earlier years with lemon juice. 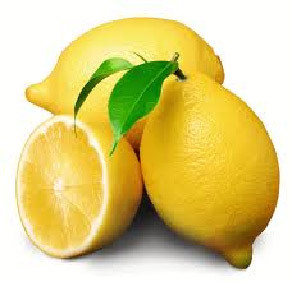 Other uses for lemons arose–the ladies of Louis XIV’s court used lemons to redden their lips. Eww. Cesare Borgia sent presents of lemons and oranges to his wife while she was in France, partly to impress Louis XII with his wealth. Sailors used them (combined with rum) to combat scurvy. Lemon Balm is excellent for its calming properties, and has been used for centuries as a mild form of drugs like Valium, and because of its antibacterial properties, Lemon Balm may be used in cleaning sores, scrapes, and cuts. Lemons aid in stimulating circulation. This is the reason why many aromatherapy soaps have lemon essential oil. Because of its high vitamin C content, it helps boost the immune system. A bowl of fresh lemons will add a wonderful fragrance and cheery appearance to a room for days. Wipe cutting boards with lemon juice to eliminate the smell of garlic, onions, or fish. Add a slice or two of fresh lemon to a glass of water. It not only has visual appeal, it actually makes the water taste and smell better. If you are reducing your sodium or fat intake, try squeezing a wedge of fresh lemon onto salads, steamed vegetables, soups and stews in place of butter or salt. Mix pressed pureed or finely minced garlic with lemon juice and salt to mellow out that raw-garlic taste before adding it to raw sauces or spreads such as hummus or fresh salsas. Organic lemons are the best choice when zesting the peels for recipes. The lemons should be bright and firm with a fine grained skin. Lemons are packed full of Vitamin C which helps form collagen, a glue-like fibrous protein in bone, cartilage, tendons and other connective tissue. Vitamin C helps give structure and maintain such body parts as bones, cartilage, muscle, veins, capillaries and teeth. 23. A dilute lemon juice rinse for your hair cuts soap residue and leaves hair softer and shinier. We like the versatile lemon combined with coconut based surfactant for an effective stain and odor remover. 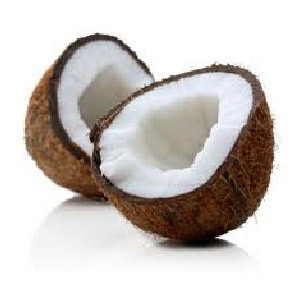 The Tree of Life: The scientific name for coconut is Cocos nucifera. Early Spanish explorers called it coco, which means “monkey face” because the three indentations (eyes) on the hairy nut that resemble the head and face of a monkey. Nucifera means “nut-bearing.” The coconut provides a nutritious source of meat, juice, milk, and oil that has fed and nourished populations around the world for generations. On many islands, coconut is a staple in the diet and provides the majority of the food eaten. Nearly one third of the world’s population depends on coconut to some degree for their food and their economy. Among these cultures the coconut has a long and respected history. People from many diverse cultures, languages, religions, and races scattered around the globe have revered the coconut as a valuable source of both food and medicine. Wherever the coconut palm grows the people have learned of its importance as an effective medicine. For thousands of years coconut products have held a respected and valuable place in local folk medicine. In traditional medicine around the world coconut is used to treat a wide variety of health problems including the following: abscesses, asthma, baldness, bronchitis, bruises, burns, colds, constipation, cough, dropsy, dysentery, earache, fever, flu, gingivitis, gonorrhea, irregular or painful menstruation, jaundice, kidney stones, lice, malnutrition, nausea, rash, scabies, scurvy, skin infections, sore throat, swelling, syphilis, toothache, tuberculosis, tumors, typhoid, ulcers, upset stomach, weakness, and wounds. • Kills viruses that cause influenza, herpes, measles, hepatitis C, SARS, AIDS, and other illnesses. • Kills bacteria that cause ulcers, throat infections, urinary tract infections, gum disease and cavities, pneumonia, and gonorrhea, and other diseases. • Kills fungi and yeasts that cause candidiasis, ringworm, athlete’s foot, thrush, diaper rash, and other infections. • Expels or kills tapeworms, lice, giardia, and other parasites. • Provides a nutritional source of quick energy. • Boosts energy and endurance, enhancing physical and athletic performance. • Improves digestion and absorption of other nutrients including vitamins, minerals, and amino acids. • Improves insulin secretion and utilization of blood glucose. • Relieves stress on pancreas and enzyme systems of the body. • Reduces symptoms associated with pancreatitis. • Helps relieve symptoms and reduce health risks associated with diabetes. • Reduces problems associated with malabsorption syndrome and cystic fibrosis. • Improves calcium and magnesium absorption and supports the development of strong bones and teeth. • Helps protect against osteoporosis. • Helps relieve symptoms associated with gallbladder disease. • ulcers. Improves digestion and bowel function. • Relieves pain and irritation caused by hemorrhoids. Reduces inflammation. • Supports tissue healing and repair. • We love the smell of coconut and use it as a surfactant in our stain and odor remover and other products. So there you have it. Some of the naturally occurring, renewable plant extracts we use in our cleaning products. Not an exhaustive list but enough to give you the idea we’re committed to finding the best products for your home, family and pets. If you have concerns about the environment and what’s brought into your home we have green alternatives to safeguard both of us. Do we have all the answers? Are you kidding? We don’t even know all the questions. We’ve been doing this since the 70’s and we’re still learning, exploring and growing. New, safer and better products are coming to the market daily. If you have a favorite please let us know. We’re eager to learn. It’s our future too.